One of the largest discount department store chains in the United States, Kohl’s is a family-focused and value-oriented. Kohl’s offers quality exclusive and national brand merchandise in over 700 locations throughout the United States. Provide a memorable reward with Kohl’s Plastic Gift Cards. We ship bulk plastic merchant cards directly to you. OmniCard specializes in employee rewards, sales incentives, marketing promotions, wellness incentives, and much more. 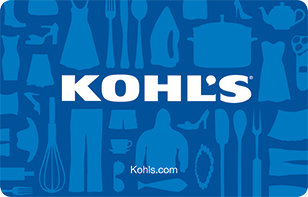 Use Kohl’s gift cards for a successful and memorable rewards program. Buy in bulk using our easy-to-use client web portal or automate the process using our API Platform.